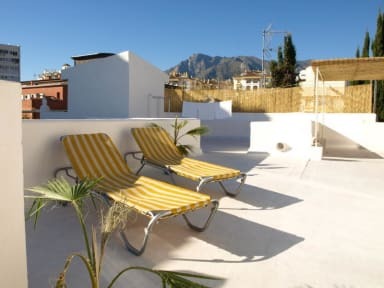 InHouse Marbella Hostel is located in the center of Marbella, the beautiful old town of the city , surrounded by wonderful and typical Andalusian streets, next to the best restaurants where you can enjoy the typical Andalusian and Mediterranean cuisine. Furthermore, this guesthouse is just 5 minutes walk from the beach. Airport transfer on request (50 Eur).